Leah and Sophie represented England at the World Dance Championships, held in Romania. 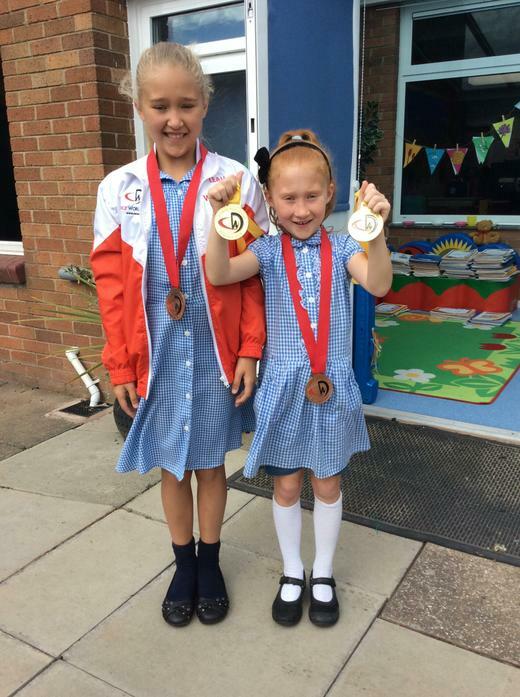 Today they brought in their medals (a bronze for Leah and a 2 gold and a bronze for Sophie) to share with us in assembly. Well done girls, you are stars!